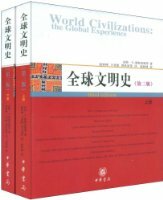 World Civilizations：the Global Experience.third edition Stearns.Adas.Schwartz.Gilbert. Learn about the book and how to get your own copy. Make the most of your studies. Explore a collection of resources correlated to the book's table of contents. Create your own online syllabus and explore other resources to help you enhance student learning. Discuss general subject matter and specific topics with other students. A great place to get study tips!